The fisheries sector is constantly debating the key role played by women in the sector’s management and development. This role is particularly relevant in countries such as the Solomon Islands, where a significant proportion of the population relies on fisheries for their livelihood and food security. Though there is little data available to measure the extent of their involvement, women are active along many parts of the fishery supply chain. However, their role is often considered informal as they are not involved at a managerial level. 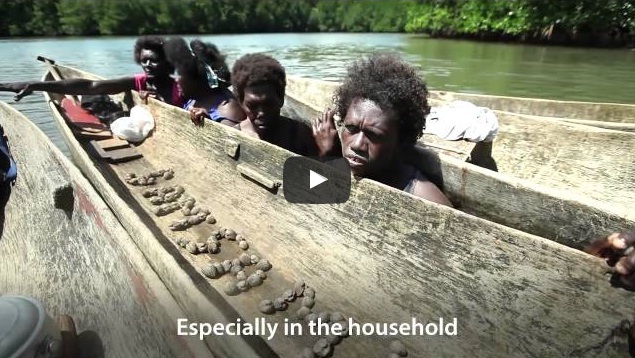 A World Bank study entitled "Gender, Fisher, Trader, Processer: Towards Gender-Equitable Fisheries Management and Development in Solomon Islands" by Kate Barclay, Anne Maree Payne and Senoveva Mauli (2015) has been recently summarized by Olha Krushelnytska. The report analyses the current situation in the industrial tuna supply chain and examines gender-based constraints as well as opportunities in order to inform policy directions and future investments in the sector. Finally, it provides specific recommendations and potential areas of action for the tuna industry.